until You have mercy on me. 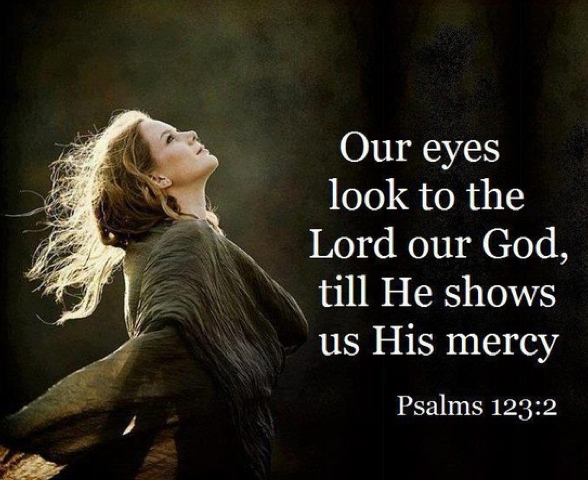 Be merciful to me, Lord, be merciful. that you cannot see in the natural plane. and now I am answering. pray into the dimension where I am. dictate your attitude and deflate your faith. And I am authoring a new chapter of faith. it is of this moment spiritually. the tangible and the spiritual merge. and sensing His presence and His love. and my thoughts don't line up with this knowing. Nothing can really break through all this. It really isn’t ever going to look much different. As often as I must, I disagree with those thoughts. And I rehearse the psalm over and over. 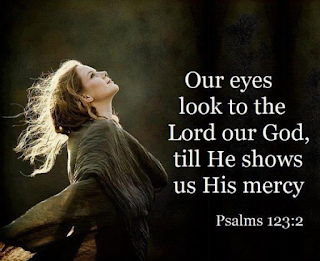 I turn my eyes to You, Lord. My faith in this moment matters.